This is a bit late. I have so much I want to write about but practically zero energy so everything is progressing in tiny steps – very frustrating! But here it is the contents of my June GLOSSYBOX. On first opening my box I confess that I felt a little disappointed as I have only heard of one of the brands that were included and that brand (Essence) is a very low budget brand. I tried not to be too despondent as part of the fun of these boxes is that it can introduce you to new brands. The MONU Spa Rosewood Reviving Mist is lovely and contains essential oils of lemon, rosewood, sandalwood, petitgrain and geranium, so it manages to be both refreshing and comforting at the same time. I love face mists and although Liz Earle’s Skin Tonic is still my favourite the MONU Spa mist is still a pleasure to use and will be well-utilised during the summer. I love to use face mists to ‘set’ makeup by lightly spraying it over my face as the last-step in my makeup routine. 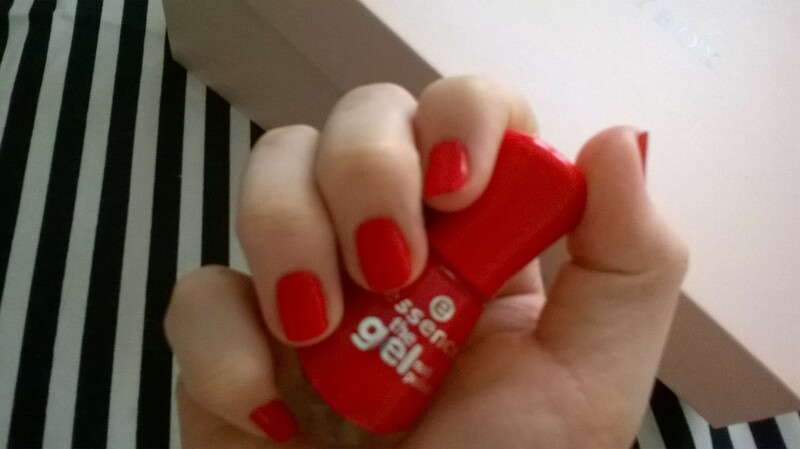 The Essence Gel Nail Polish is my favourite product in the box despite being the lowest priced (£1.71). 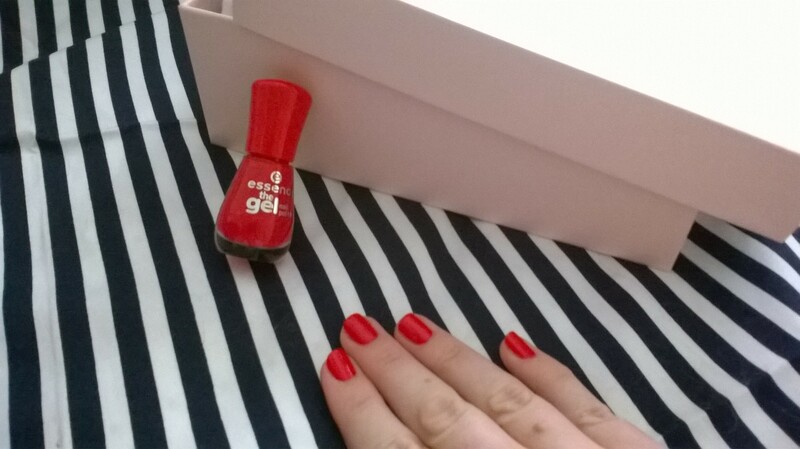 It’s a really good nail polish and does give that smooth, shiny and slightly domed look associated with gel polish. It’s a great colour and lasted well – it performs far above its price bracket! I’ve not yet been convinced about anti-cellulite creams or gels as all of them rely on the product being well massaged in and I’m of the belief that it’s the massaging part that will have more of an effect than the actual product itself. I think as long as you massage the area a simple oil will have a similar effect for the fraction of the price but perhaps I just haven’t been exposed to the right product yet. The Kueshi Anti-Cellulite Booster, whilst being non-offensive, has don’t little to change my opinions of ant-cellulite creams. One useful thing about the Kueshi cream is that it doesn’t have much of a smell so it wouldn’t conflict with any fragranced body lotion or perfume. The Halo Facial Wipes are handy and I do like the fact that they are un-fragranced. I also didn’t get any negative reactions to the product, other face wipes have left my skin red and stingy. Whilst I wouldn’t advocate using these everyday, for times when I am too tired or need to change/alter makeup quickly they will be useful. I could quite frankly have done without the GLOSSYBOX Tattoos but I guess I might be in the minority as these types of tattoos are everywhere and they probably do look great if you’re at a festival but they just look a bit daft if you’re in your pyjamas (like I am most days). Overall this is not the best GLOSSYBOX I have had but it was generally ok and that’s the way it goes sometimes with the beauty boxes.